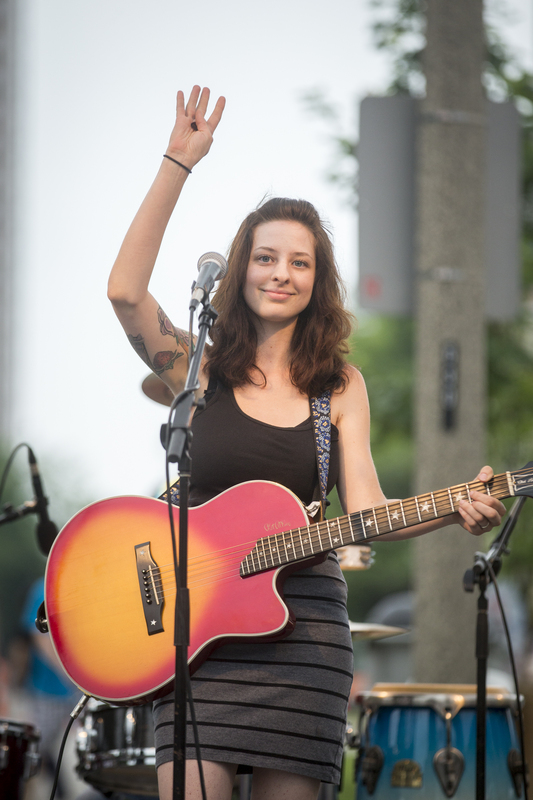 Rebecca and the Grey Notes at the 2014 Bastille Days festival in downtown Milwaukee. We are pleased to announce that our 2015 World Tour for Rebecca and the Grey Notes will begin Friday, March 27, at Potawatomi Hotel & Casino’s Fire Pit Side Bar, beginning at 9 p.m. This is a FREE show. In addition to covers of Norah Jones, Linda Ronstadt and other great female singers, along with a diverse grouping of songs from Led Zeppelin to B.B. King to the Byrds to old Fleetwood Mac to Patsy Cline, we’ll be playing the five original songs that we’ll be recording in the studio in February. We will be releasing shortly more show dates, including some sweet festival bookings. Watch this page for more updates. Thanks again for following us and being our best fans. Rebecca and the Grey Notes will be heading into the studio on Feb. 6. We’ll record five originals, maybe one cover, and see how those tracks sound. If all goes well, we could return to the studio later to do another batch of material. We’ll also be announcing some performance dates later for gigs in late March and April, so stay tuned. And thanks again for checking us out, coming to our gigs and supporting us. We are looking forward to a busy 2015.